Customs agent is a great criminal justice job. The U.S. Customs and Border Protection Agency is part of the Department of Homeland Security. This federal law enforcement agency is responsible for enforcing Unites States trade and immigration laws, regulating international trade, collecting import fees, and protecting the country against potential terrorist attacks. A customs agent's main duty is to enforce the country's import laws, export laws, and trade regulations. Each year, the United States engages in over $2 trillion of legitimate trade with nations around the globe. However, it is estimated that there are billions of dollars of illegal trade activities completed each year. Agents are stationed at ports or other areas of entry into the country to make sure that appropriate trade laws are being followed and enforced. A successful customs agent has a firm understanding of law enforcement procedures and federal trade laws. Attention to detail, excellent communication skills, and a heightened sense of vigilance are essential. Drugs, weapons, small arms, money, cars, animals, prohibited consumer goods, and even agriculture are illegally brought into this country each year. Since the events of September 11th, the government is also concerned that terrorists may smuggle biological or chemical weapons into the country through cargo ships. Agents stationed at our nation's seaports must periodically check container ships, cargo, and crew members. They ensure that the correct import duties are being collected and the appropriate paperwork is being filed with authorities. Agents keep on the lookout for suspicious behavior at the port. Custom agents are also stationed at the nation's airports to perform periodic spot checks on baggage, cargo, airplanes, and passengers. They have the authority to perform search and seizures and arrest suspects. Some situations require undercover work. For example, an agent may have to go undercover as a port worker gain evidence that drug dealers are unload drug cargo at a specific port. Customs agents seize millions of dollars in illegal drugs due to this type of undercover work. Agents also investigate money laundering. Money laundering typically involves a variety of financial transactions to hide the true origins of illegal money. People and businesses across the globe engage in money laundering, so agents are not just focused on U.S. currency money laundering operations. The process for becoming a customs agent is extensive and can take months to complete. Candidates must be United States citizens, have a bachelor's degree from an accredited university, have a law enforcement background, and have not yet reached their 37th birthday when they begin the application process. The law enforcement requirement can be filled by a variety of criminal justice jobs including experience working as a police officer, detective, military police, or federal agent. If you meet minimum qualifications, you can begin the registration process online. You will be required to take a written exam that tests your writing skills, reasoning skills, and law enforcement knowledge. You should prepare for this exam. The agency has produced a guide to help you study for this 5 hour exam. If you receive a score of at least 70, your name will be placed on a waiting list. Passing the exam does not necessarily mean you will move on to the next stage of the selection process. If you are chosen to move forward, you will be asked to complete a Video Based Test. This 30 minute test films your actions and responses to certain pre-recorded scenarios. A team of management officials review your performance and give you a score of either pass or fail. You must also complete a 45 minute structured face-to-face interview. This interview asks questions about your judgment, ability to make decisions, sensitivity, and emotional stability. An extensive background check is then completed. A physical fitness exam, hearing test, and vision exam are also administered. 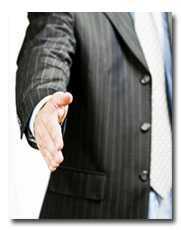 Successfully passing the interviews and exams does not guarantee employment. Your name will be put on another waiting list and you may be contacted as vacancies become available. New customs agents undergo 17 to 19 weeks of paid training at the Federal Law Enforcement Training Center. Classes focus on intensive physical training, investigation techniques, trade laws, firearms training, and law enforcement procedures. Agents stationed in certain regions also undergo six weeks of foreign language training. You will be given an opportunity to pick which region of the country you want to work in during the application process. However, you must be willing to work and relocate to any city to which you are assigned in that particular region. Competition for these jobs is extremely high. Waiting lists can be long, so it is better to begin this process as soon as possible. It can take over a year to receive a firm offer. Agents are hired as a GS-5 or a GS-7 depending on their qualifications. A GS-5 agent can expect to make at least $31,315 a year. A GS-7 agent can anticipate making at least $38,790. Salaries are adjusted based on the region. If you are a successful customs agent, you have the opportunity to advance all the way up to the GS-12 level and make at least $68,000 a year.